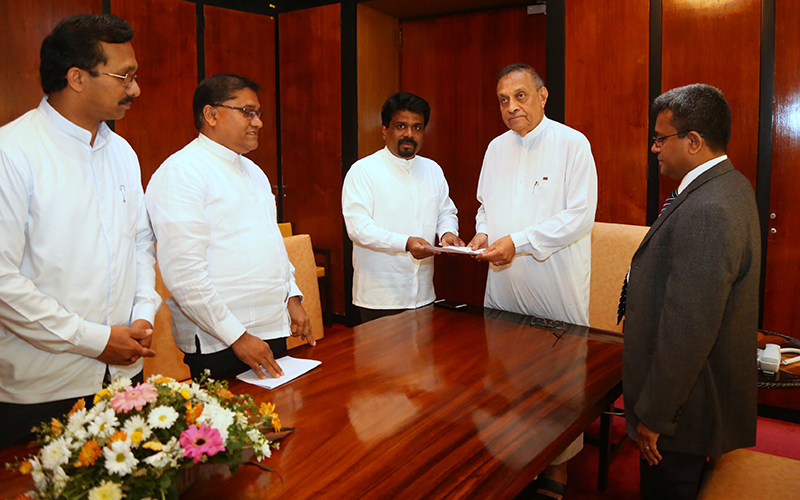 The JVP handed over a no-confidence motion to the Speaker Karu Jayasuriya against the Minister of Local Government and Provincial Councils Faizer Musthapha stating he is not suitable for the portfolio. Failing to correct the errors that appear in the Gazette 1928/16 issued on 21st August 2015. 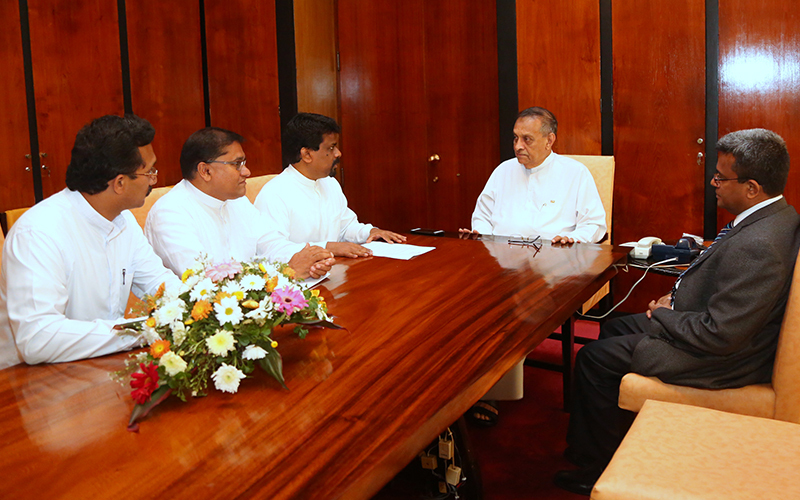 The JVP pointed out that the irresponsible act of the Minister has denied the right of the people to vote. 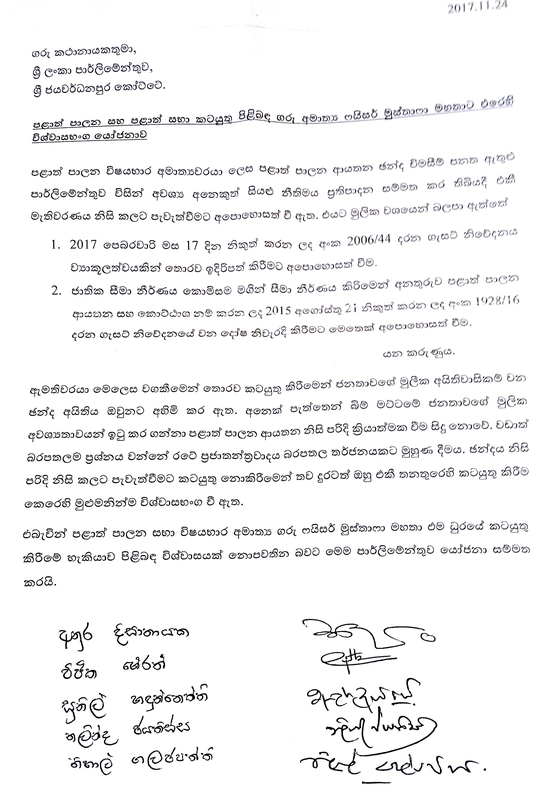 The no-confidence motion has been signed by 5 (Comrades Anura Dissanayaka, Vijitha Herath, Nihal Galappaththy, Sunil Handunneththi and Nalinda Jayatissa) of the 6 JVP Parliamentarians. Comrade Bimal Rathnayaka could not sign the motion as he is abroad.